If your small business needs working capital or line of credit perhaps you are considering my recommendation Kabbage business loans, and have a few questions about the minimum credit score. The most frequently asked questions are; does Kabbage do a credit check, what is the minimum credit score and how the application process affects your credit score. Read on to get these and other Kabbage loan credit questions expertly answered. Does Kabbage Do a Credit Check? Yes, towards the end of the approval process Kabbage does one hard credit check at Experian. A hard check is when a company does a credit inquiry as a prospective lender, while a soft inquiry is the type of credit check that is done as part of background checks for employment and housing rentals. When you apply Kabbage for a line of credit you allow them to extract data from your working accounts such as bank accounts, credit card processing accounts and e-commerce software. For most small businesses this is an advantage because your business metrics are much more likely to be stronger than your credit score since you are a new and growing company. Does Kabbage require a minimum credit score? No, Kabbage does not require a minimum credit score on either your personal or business credit report. Other business financing options such as Ondeck do require minimum credit scores of 500 or greater. Unfortunately, the minimum credit score requirement disqualifies many small businesses that are otherwise financially healthy and growing to needed working capital loans. In fact, Kabbage was founded because they saw many creditworthy small businesses denied financing based on old-fashioned and outdated metric considerations for approval. They will check your credit as part of their overall application review process. Unlike traditional lenders and many other online financing options, Kabbage takes into consideration the real-life metrics of your business instead of outdated and often erroneous information that is often in credit reports. 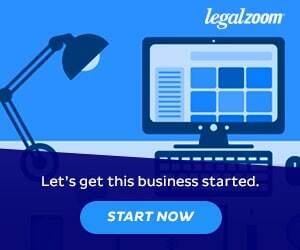 Once your business becomes established as a separate legal entity, whether LLC Corporation or DBA sole proprietor and is registered at Dun & Bradstreet, it will have its own credit report and business credit score. As such, I recommend that new small business owners begin to build their business credit alongside their company’s growth. Learn how to build your business credit reliably and quickly here. Know that business and personal credit scores are calculated differently and use different metrics and methods to generate their reports. 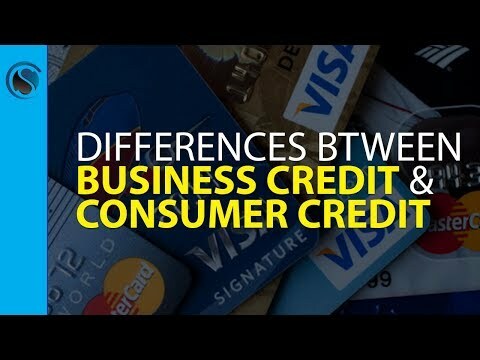 The credit experts at CreditSuite explain the differences between personal consumer credit and business credit in this video. Should I clean up my personal credit before applying for business loans? Yes, it is worth taking a few moments to order and review your personal credit report because studies have shown that over 43% of all credit reports have errors! You can contact the credit agencies, and vendors directly to ask for these mistakes to be removed from your account. Once this is done, your credit score will often dramatically increase improving your likelihood of being approved for business loans. Does Kabbage report to credit agencies? No, Kabbage does not report to either consumer agencies, for your personal credit report, nor commercial agencies for your business credit score. While it is advantageous to have your positive credit history reported to agencies to improve your credit score, most small businesses are better off using large commercial accounts to build their credit scores. Learn how to build your business credit here with a list of national companies where you can create accounts and get your positive credit history reported to agencies. Most small businesses, from time to time, make late payments and sometimes miss payments also, thus the non-reporting of this negative activity to credit agencies is actually a plus for your credit score. Does Kabbage require a personal guarantee? Yes, Kabbage like all lenders requires a personal guarantee when you accept their loan. This is standard practice for all financial organizations in America. Read this article for further explanation about personal guarantees and Kabbage loans. Does Kabbage require collateral to secure the loan? No, happily Kabbage does not require collateral and only grants unsecured business loans. This is a real boon for small companies that often do not own collateral such as real estate, stocks, and expensive equipment, to secure their needed working capital loans and lines of credit financing. As I mentioned earlier, Kabbage was created to help small business owners who are unable to qualify for other types of loans such as SBA and traditional bank loans get working capital loans. How does the Kabbage application process affect my credit report and score? The application process will not negatively affect your credit because Kabbage only does one hard credit check towards the end of the loan application process, once you are conditionally approved. As long as you do not apply to many lenders simultaneously, this single credit check is reasonable and standard and will not lower your credit score.